As per National Mortgage News, New consumer-disclosure requirements are doing more than delaying the closings of some home loans. Now the mortgage industry is sounding a bigger alarm, claiming some investors are refusing to buy certain loans once they close because of potential compliance failures. 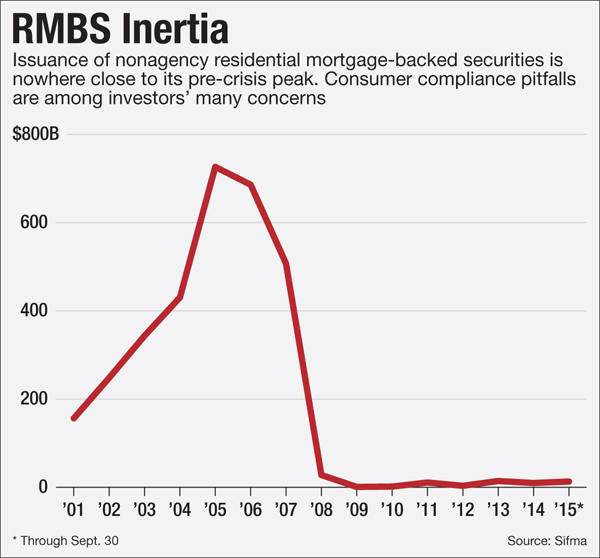 The bottleneck is happening when lenders immediately try to sell loans in the secondary market. 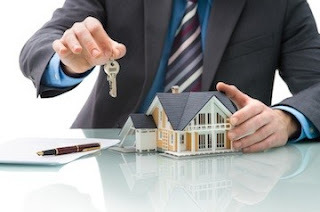 The fear is that some lenders could get stuck with loans if investors refuse to buy them, causing potential liquidity problems, especially for independent mortgage banks. Fannie Mae, Freddie Mac and the Federal Housing Administration have given lenders a grace period for technical compliance with the Consumer Financial Protection Bureau's disclosure rules, known as "Know Before You Owe" or TRID, for Truth in Lending Act and Real Estate Settlement Procedures Act integrated disclosures. But banks and other private investors, fearing liability, are not granting that leeway. The first inkling of trouble came when Moody's Investors Service warned in early December that several third-party review firms found more than 90% of the first pipeline of loans that closed after Oct. 3, when the rules took effect, had compliance violations. The findings were based on reviews of roughly 300 loans from a dozen lenders, said Yehudah Forster, a Moody's vice president and senior credit officer. Mark Mason, the chairman and chief executive of $5 billion-asset HomeStreet Bank in Seattle, said some nonagency jumbo loans, custom home construction loans, and down-payment-assistance loans offered through state housing finance agencies are not being purchased by investors. However, it is unclear how widespread the issue is. "A lot of [investors] are being very cautious and defensive and may be cutting back on purchases, so it's another restraint on credit," Mason said. "Banks are better able to weather any storm because they have their own portfolios. Nonbanks, if they originate loans that are rejected by a buyer, what are they going to do with them?" The new mortgage disclosures were designed to ensure consumers have more certainty about the costs and fees in a home loan. The disclosure documents contain hundreds of pieces of information, and lenders have to verify the information that they supply is correct. Pete Mills, the Mortgage Bankers Association's senior vice president of residential policy, said lenders want the CFPB to clarify whether "technical" errors can be fixed by lenders without incurring a penalty. "The investors are taking a very strict view of TRID compliance and are trying to understand if some of the issues can be cured," Mills said. "Mortgage lenders that buy and package loans for sale into private-label mortgage-backed securities — a tiny market that never fully recovered from the downturn — are kicking back some loans because they don't meet the new regulations." The chances of a TRID mistake are fairly high because the rule has some rigid conditions, such as requiring that fees be listed in alphabetical order. Yet most of the problems are technical, said Forster at Moody's. Experts cited several examples of issues lenders and investors are grappling with — including the proper use of hyphens, supplying figures with an ample number of decimal places, and the correct spelling of counterparty names.The costs for violators also are steep, which is one reason investors may be rejecting some loans. TRID essentially expands the amount of potentially erroneous information that a residential mortgage-backed securitized trust could be liable for, Forster said. For lenders, the CFPB can impose civil money penalties of $5,000 per day per violation for noncompliance, $25,000 per day for reckless violations and $1 million per day for knowing violations. Such fines do not apply to trusts, but they fear being sued by their investors in the event of loan losses. In October, CFPB Director Richard Cordray blamed software vendors for some of the delays. The rollout of the rule has been fraught with problems, including a delay of the initial Aug. 1 deadline and repeated demands by the mortgage industry for a grace period from enforcement. Still, the mortgage trade group is struggling to get a grip on how big the problem is. "We're not trying to be hysterical here, and it's hard to get [the] data," on how many loans are being "kicked back" to lenders, Mills said. Andrew Liput, the CEO of Secure Insight, a Parsippany, N.J., company that monitors closing agents for fraud, said TRID has been a big undertaking for lenders who underestimated the added cost and time involved. "A lot of the confusion is coming from folks who are a little late to the game, and the proof is there are a lot of lenders who were ready for TRID, they trained their staff, and [they] had a clear message to consumers," Liput said.He estimates compliance has added $250 to $1,000 to the cost of every loan. That includes hiring more staff, outsourcing compliance reviews and reporting to third parties. Some lenders also are paying for third-party, onsite "mock audits" that cost anywhere from $15,000 to $50,000.Liput also said the industry got into a bad habit of preparing the old HUD-1 settlement statements just a day before closing and then seeing them revised multiple times, which created confusion for consumers. "Now you have to have a reasonable degree of certainty that you have the correct fees and costs in advance, which has turned the entire process on its ear," Liput said.Paul Miller, a managing director and head of financial institutions research at FBR Capital Markets, said primarily nonqualified jumbo mortgages are being rejected "all over the place. ""In the jumbo market, [lenders] are afraid the investors will push back if they have problems," Miller said in an email. Jumbo loans make up 10% of the overall mortgage market. It is possible that the problem is confined to a handful of jumbo-loan purchasers, or even one of them, as it is a tight-knit market. Meanwhile, the issue of delayed closings persists.Ivy Zelman, the CEO of Zelman Associates, a housing analytics firm, sent a research note to clients last week titled "TRID a Four-Letter Word to Many at the Moment. "Zelman estimated that sales of existing home loans declined by almost 20% in November from October because of TRID. Since lenders now have to give a borrower a closing disclosure form three days before a loan closes, TRID has extended loan-closing times to roughly seven days, from five, Zelman estimated. The potential for delays, albeit during a seasonal slow period, presents some downside risk for lenders, homebuilders and title firms, she said.